Ecology is the scientific study of living organisms and their environments; or the study of environmental systems as a whole. 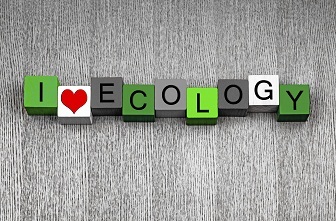 The study of ecology is a branch of biology which deals with the understanding of complex relationships and roles of individual organisms and elements. The field of ecology offers individuals the chance to further study and explore the planet’s diverse ecosystems, organisms and animals, as well as the environment. For students interested in the field of ecology, degrees are offered at the bachelor’s, graduate certificate, graduate, and doctoral levels. An ecologist is someone who is concerned with, and specializes in the study of ecosystems as a whole. This involves a study of each constituent element of a particular ecosystem including every organism that inhabits it and the various other components of the ecosystem, including plants. Due to the diversity of our planet’s ecosystems, an ecologist has a large number of choices when it comes to which particular ecosystem and branch of ecological study they would like to specialize in. Depending on their particular area of expertise, ecologists frequently carry out field work, collect samples, and complete a number of other tasks in relation to that particular area. 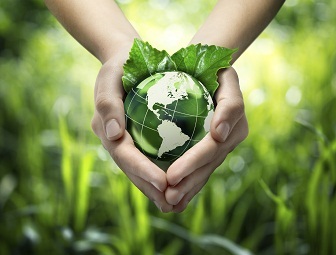 The study of ecology is important for a number of reasons: it is a starting point when dealing with conservation; it emphasizes on the relationship of each component of an ecosystem, and allows us to gain a greater understanding and devise more effective action plans when dealing with important issues such as climate change. Ecology degree programs are available at a variety of different educational levels, depending on what your precise career objectives are. Due to extensive research and laboratory work necessary with these courses, there are no exclusively online ecology programs available. There are however, certain hybrid programs which students may consider. You would need to do some further research into these options if it is something you would be interested in. For an individual aspiring to pursue a career in ecology, an undergraduate degree with a focus in this particular branch of biology is a good place to start. With this degree, individuals have the option of pursuing a variety of entry-level positions in the field, which may include work as a laboratory assistant. The degree offers students the requisite knowledge required to understand complex ecosystems and the interactions of their individual components with each other. Coursework at this stage is intended to give students an initial understanding of principles of biology, chemistry, and mathematics. Students can also expect to spend a considerable amount of time carrying out lab work in order to understand processes that include the life cycles of cells, organisms, and bacteria. Undergraduate degree programs can be customized to meet your specific career goals. Concentrations are offered in areas such as human ecology, landscape, and conservation. Graduate certificates in ecology can be taken in a number of different areas ranging from conservation to freshwater ecology. These programs are intended to give students an understanding of that particular aspect of ecology. Programs often have extensive research components. If you choose to pursue a master’s degree at some point in the future, the credits from the graduate certificate may be transferrable to your master’s degree credit requirements. A Master’s degree in ecology offers students the chance to survey a large number of different ecosystems and gain a thorough understanding of the interactions which take place within them. This specialized and in-depth training in ecology enables graduates to effectively implement conservation efforts and further the understanding of rich ecosystems. A Ph.D. in ecology is an interdisciplinary study of a number of different components of environmental sciences. These include geology, biological sciences, botany, microbiology, and entomology. Students gain a holistic understanding of ecology and are then ready to carry out their research project. Ecologists have a wide range of job opportunities they can choose to explore once they graduate from university. Qualified ecologists have the option of working in positions in the government, academia, or research. There is also work to be found in private consulting firms as environmental analysts, or in non-governmental organizations. For those individuals who have secured a certain amount of professional experience and education, The Ecological Society of America offers certification for professional development. Ecology is a branch of biology which focuses on gaining an understanding and appreciation for the complexity of Earth’s ecosystems. These dynamic ecosystems house a large variety of plants and animals which have important interactions with each other as well as with surrounding ecosystems. The interconnectedness of these ecosystems and the effect they have on our planet’s health and vitality make the study of ecology not only exceptionally important but also exceptionally interesting. Depending upon your specific career goals and objectives, you could choose to pursue a degree in ecology at one of a number of different educational levels. Q:What does an ecologist do? A:An ecologist is a professional who studies the ecosystem, and the relationship between organisms and their environment. Their main job revolves around conducting research in the field, identifying and exploring habitats, and helping in policy-making relevant to the field. Ecologists can provide advice to local governments, environmental organizations, and more. Q:What will I learn in a wildlife ecology and management degree? A:A wildlife ecology and management degree program is designed to equip you with knowledge about the ecology systems and organisms in our environment. You will learn how to assess various contemporary environmental problems and seek solutions through effective management. The degree program will cover a range of theoretical courses along with field-work. A:Ecologists study organisms, how these organisms interact with other organisms and how they interact with the nonliving parts of the environment, like nutrients, habitats and chemicals. The complex range and type of interactions that organisms can have with each other are quite large in quantity and ecologists have the job of studying these at multiple levels. A:An ecologist is an individual who studies the connections between animals and plants in the environments they live in. They study the interactions of these two living things and ask questions like how and why do populations vary, how these populations fluctuate, and what forces them to increase or decrease in a particular environment. They study which species eat other species, which species are habitat providers for others and how the natural world interacts in the larger, universal system of organisms. Q:What are some of the courses offered in ecology masters programs? A:There are a number of different core courses and elective courses offered in ecology masters programs. The courses which you take will largely depend upon whether you choose a specific area of concentration. Some of the courses offered at the graduate level include environmental planning, policy & law, ecological economics, ecosystem services and ecology, and restoration ecology. Students are also required to complete filed research and an internship. Q:Can you tell me about options for careers in ecology? A:The field of ecology offers a wide range of career options for individuals depending upon their area of interest and level of education. Some potential career options in ecology are environmental consultant, restoration ecologist, natural resource manager, park naturalist, environmental manager, water quality scientist, nature conservationist, waste management officer, etc. There may be a variety of career options available in research and academia as well, but those would require a Ph.D. in the field.